Rick has now turned into Shane. He wants action and thinks the people of Alexandria don't know what they're doing. Sound familier? Shane had the same feelings. It didn't turn out so well for him, did it? We hope they don't banish Rick from Alexandria, but what can Deanna do? Sasha needs to chill and get a grip. Going on a walker killing spree won't solve anything. Someone is carving Ws on walker heads and they might be a group to be feared. 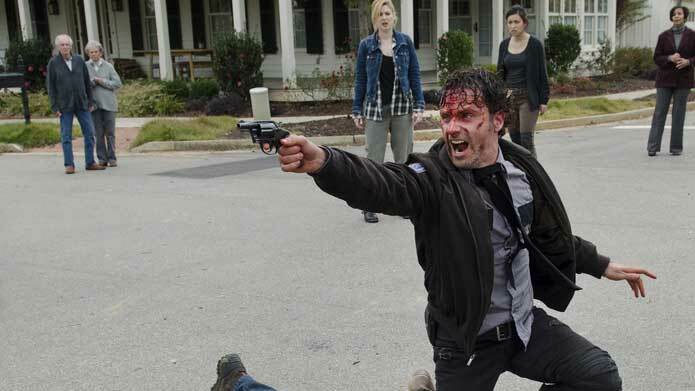 We have some news about the Walking Dead spin-off series. Listen to the podcast to find out.